BELIEVE it or not, there is a growing discussion about the “true shape of the Earth”. You would think that in this day and age everyone accepts the earth as a shiny blue marble, hurtling through space. But apparently this not the case. There is a growing group of people who insist the Earth is flat, stationary, and the center of the universe. 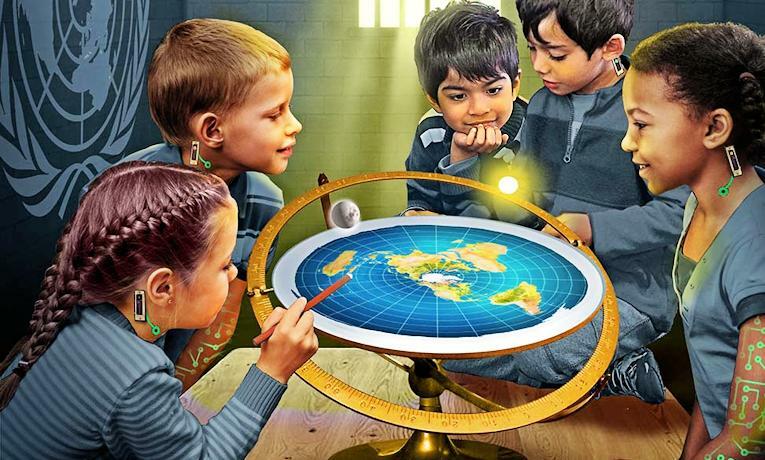 These flat Earth advocates refer to themselves as Flat-Earthers or “flattists”. People who attempt to refute these mistaken ideas are referred to as Globe-Earthers or “globers”. When discussion gets heated you’ll also see people being referred to as “flattards” or “globetards”. If the Earth is covered by a dome “space” can’t exist. But there have been numerous moon landings, space walks, satellites etc. All planets are globes. Why would the Earth be different? Gravity is caused by the mass of our globe Earth. What causes gravity on a flat Earth? As you can see, the Flat Earth hypothesis lacks a coherent world model. This is a major detractor. Additionally, to explain the gaps in the hypothesis flattists resort to dismissing evidence of moon landings etc. and stating scientific evidence which contradicts there idea is fake. And the supposed reason why all our space agencies, governments and scientists are involved in this global conspiracy is to keep us dumb and themselves in control. This necessity for a global conspiracy to validate the Flat Earth hypothesis is the biggest detractor. It turns the whole thing into a farce. Some people think Flat Earthers should not be debated, as it gives them an unwarranted level of legitimacy. Also, debating people who think the whole world is lying to them is futile. However, I find the whole thing fascinating. For this reason I’m compiling a list of Flat Earth claims together with their conventional explanations. Page 2: Since when do we know the Earth is a globe? Page 3: Why do some people think the Earth is flat?